Safety Yellow Line Marking with Concrete Mender™ Yellow. 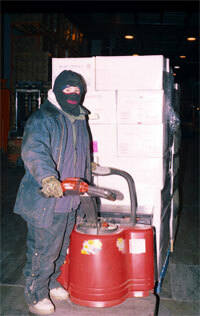 Concrete repair for freezer and cold storage warehouse floors. A gas torch is used to dry the frozen concrete and drive back frost before repairing a threshold with 10 Minute Concrete Mender. 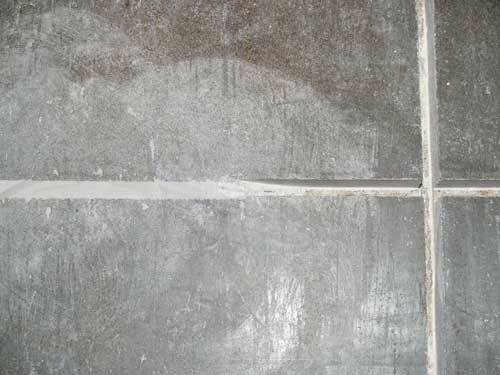 A freezer threshold permanently repaired with Roadware 10 Minute Concrete Mender. Concrete freezer threshold ready to be repaired with Roadware 10 Minute Concrete Mender. Warm air is applied to drive back the frost and dry the concrete prior to repairing with Roadware 10 Minute Concrete Mender. Roadware 10 Minute Concrete Mender and mixed with sand and aggregate is placed in the freezer threshold repair. Layers of Roadware 10 Minute Concrete Mender mixed with sand are added up to the finished grade. Repairs are ready for traffic in ten minutes to several hours depending on temperature. 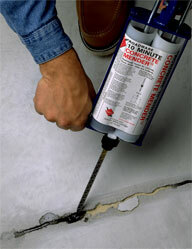 Full depth control joint repair with Roadware 10 Minute Concrete Mender™. 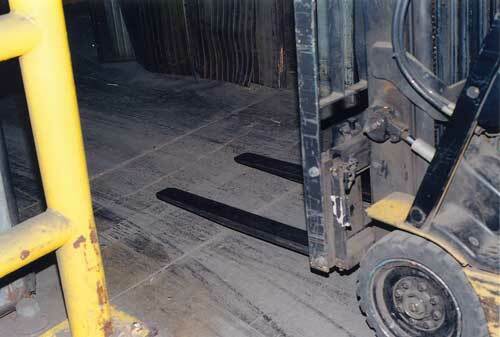 Roadware MatchCrete™ Concrete Mender in safety yellow color is used for permanent line marking in cold storage and freezer floors. 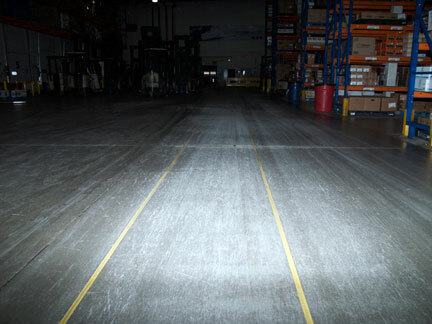 Warehouse floor with safety yellow lines made from Concrete Mender™ Safety Yellow Color.